We’ve all done it. Though we all drive, walk, or ride over roughly two dozen bridges every day in our community, we hardly give a second thought to the majestic rivers running below them. We don’t often think about those rivers’ history, how we currently interact with them, nor what immense potential they hold for the future of our city. In fact, the vast majority of our citizenry has likely never touched those waters nor even been close enough to their banks to really take a good look. 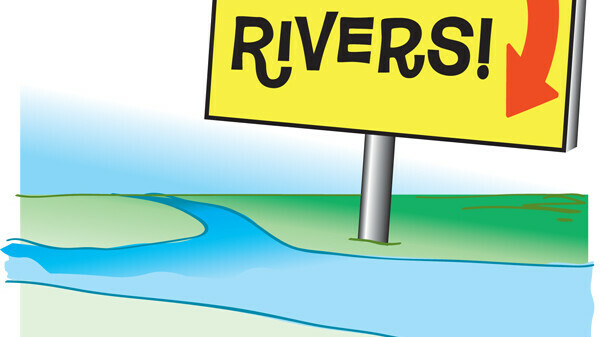 For most of us there’s little, if any, emotional or physical bond with our rivers. Though our waterways are ubiquitous in sight, they are most certainly out-of-mind. And it’s not just we as individuals who’ve forgotten why this city is here in the first place. Some of the organizations charged with promoting the best of this little burg hardly take notice either – at least not in their official PR. If you visit the website of Downtown Eau Claire, Inc. – the group who’s sole purpose is to promote and help build downtown, the place where our two rivers actually meet – you’d have a hard time figuring out if we even had a river at all. It’s not even mentioned. And our mighty rivers are scarcely more than side notes on the websites of the Chamber of Commerce, Visit Eau Claire, and even The City itself. (Our own site at VolumeOne.org isn’t much better either.) We’ve all failed to meaningfully acknowledge the rivers’ presence in our city life. Other than glimpses during a concert or farmers market (or at worst, out a car window as we pass overhead), our rivers are barely a part of the everyday culture of mainstream Eau Claire. Thankfully, however, that cultural logjam is starting to let loose. Until about four years ago I was in the same boat as everyone else. I’d never been in the rivers. Many times, I’d walk over a bridge spanning either the Eau Claire or Chippewa Rivers and I’d think about how cool it would be to experience the community from down there. I realized I was missing out (along with tens of thousands of others) on a major, though largely unspoken, piece of the culture of Eau Claire. Eventually I grabbed another river-novice friend and rented a couple of cheap kayaks. We figured out exactly how the heck you get on the Eau Claire River upstream (near the Altoona Dam – it’s not easy, but they’re fixing that soon), and we leisurely paddled down to Phoenix Park. Once I was on the water I was blown away. You float under nine amazing bridges in less than three miles! There are areas with small rapids, tons of birds and wildlife, and you end up floating right through downtown Eau Claire to land softly on the beach at Phoenix Park. It takes less than two hours, and I’ve done it at least once a year since. Now, no matter how great it is, we probably can’t get everyone to take that little trip down the river. And luckily, we don’t have to. The collective consciousness has started to turn regardless. Through increased exposure in recent years, thanks to progress like Phoenix Park and our ever-improving trail system, we’re beginning to wake up. We’re now aware something’s been missing, and that its been flowing right through the heart of our city all along. Fortunately, you don’t have to be a kayaker or tuber to appreciate our waterways. You can do it casually from riverside bike trails, beautiful parks, and atop stately bridges. And hopefully, if things go according to plan, someday soon you can do it from riverside boardwalks, restaurants, hotels, commercial boat rides, and many other ideas we’ve yet to conjure up. Through a variety of recent community processes and plans (detailed further starting right here), we’ve started to see a splash of what life with our rivers could be – and our vision is only getting stronger. Many communities around the country have some sort of iconic piece of manmade or natural history that becomes the showpiece for their cultural brand. Sometimes it’s architecture or industry, sometimes it’s a mountain range or ocean. Even communities closer to home can hang their hats on a variety of icons. Stillwater and Duluth have their lift bridges. LaCrosse has its big river boats. Winona has its bluffs. It’s true. And we actually have something special. Many, many towns have a river flowing right through them, but not many have two – two of varying character and qualities – that meet up right in the heart of the city. It’s something the majority of us clearly take for granted, but more and more it’s becoming something that’s inspiring us all to move this community forward. So how do we use the rivers to our benefit? How can we maintain a respect for our waterways yet leverage them to help make us a world-class river town? Part of the purpose of this special issue – filled with stories and ideas related to our waterways – is to discuss just that. It’s a veritable confluence of ideas up in here! 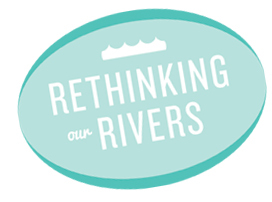 While the ecological health of the rivers is paramount to everything after, most of this issue’s focus is on the culture of the rivers – their identity in our community, their capacity for increasing the quality of life of our residents, and their place in the economic development of our city’s core. Now that we’re waking up to the fact that our most powerful asset is meandering past us every day, how we choose to move forward with our rivers will define this community the next 50 years. Let’s hope we get it right.